Cincinnati Council chamber at City Hall. Supporters said longer terms will make Council more productive and allow members to focus on bigger public policy issues. But opponents disagree. They held their own press conference last week. Former Council Member Chris Bortz is urging residents to vote “no” on Issue 4. 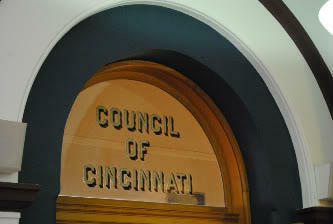 He argued it's a misrepresentation to say other city's competing with Cincinnati have four year council terms. Opponents say Council can get big things done in two years if it wants too. Even with longer terms, members would still only be able to serve for eight years and that would apply to the current Council.